A Bride On A Budget received these dolls for the purpose of this review. All thoughts and options belong to ABOAB. When we got engaged, we had an engagement party. My mom explained to our guests that their presence was their present ... but people still asked where we were registered. We weren't yet. Even now, months later and with our wedding date a mere ten months away (from today actually. Wow, exactly ten months from today actually), we still haven't registered. I guess we should probably do that. When people ask me where we're registered, I joke and say "Wells Fargo," which is actually very funny to me and possibly not funny at all to anyone else. Honestly, I think it probably causes people frustration because people want to get you something and they want to make sure that something is useful. But me? I don't want useful. We already have pots and pans (and now, we actually have a really awesome K-Cup holder thanks to my brother and his girlfriend). I want unique. And I want to give gifts that are unique. 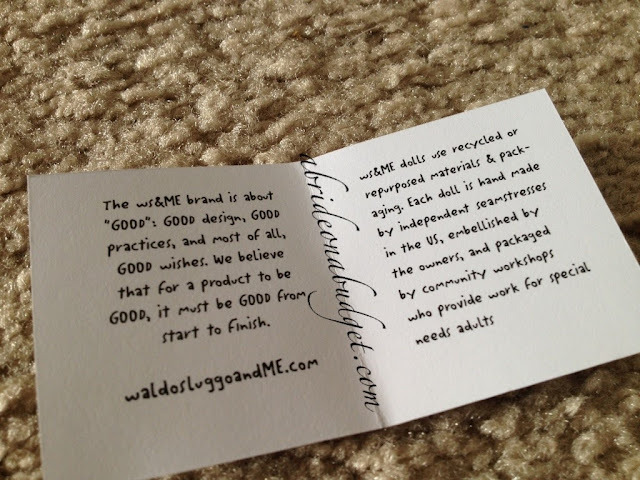 If you agree, look no further than the Good Voodoo Dolls we received for review from Waldo, Sluggo & Me. There are four dolls in the bridal collection: groom, bridal, bridesmaid, and love (counterclockwise). You can choose either brown or blonde hair to match your bride, but the other dolls (which cost $22) aren't able to be customized in that sense. The brand has dolls for everything from graduation to menopause. Not only are these cool for your friends, but they are for celebrities too. In fact, the new baby dolls have been sent by Hollywood Celebrity Swag Bags to celebrities like Kristin Bell and Jessica Simpson. The dolls are the brainchild of Dolly (aka Mary Ellen aka the "me" in Waldo, Sluggo and me). She made the first bride doll for Beth (aka Waldo), the daughter of Dolly's college roommate, for her bridal shower. The doll was "such a huge hit" that the company was started, Dolly said. What I absolutely love about the dolls is how "good" they actually are. They're made from recycled materials (which is great to me because I'm the person who cuts Post-it's in pieces to conserve). The dolls are sewn by a seamstress in the US (yay for domestic labor), they're actually embellished by the owners (and you ... which we'll get to in a minute), and then community workshops who provide work for special needs adults pack them (which made me think of Penn's charity from this season's Celebrity Apprentice. When I saw that his charity did that, I was crying and rooting for him. Such a great cause). The dolls come with tags pinned to them with all good wishes, like "weak in the knees" (as opposed to a bad voodoo doll, which would say something like "broken knees"). If some of the tags are things you don't want to wish for someone, like maybe you feel uncomfortable with "lunchtime quicky," no worries. The tags are attached with a very small pin, so you can just remove them. Plus, the dolls are made in such a way that you will not see a pin hole if you do remove a tag. The dolls also come with two blank tags and two extra pins so you are able to add your own wishes. The bride and groom doll are for Pete and I to keep, but I decided that I would give the Love doll to my friend who recently got married. My mom, who should totally be a hand model now that she has a bunch in her portfolio from this post and my favors post, was enlisted to write the tags. We sat and tried to figure out what wishes we wanted to offer my friend and her new groom. I decided no fights because fights are terrible (although, now that I think about it, a fast recovery time is probably a more attainable wish, but the papers weren't that long) and BFF's because your spouse should be your best friend. ... and put him back in the box. That's actually how you're supposed to display him. I texted a photo of the doll to my bridesmaid Michelle to ask if she thought it was a good gift for my friend (since she knows her as well) and she immediately said that she wanted one. So maybe I'll have to send her the bridesmaid one for her birthday. It's perfect, actually, because I'm going to have my girls wear eggplant and the bridesmaid doll is purple. You do really have to know your audience for this one. Some people might be like my mom, who was just used to voodoo dolls you pin to hurt people so she couldn't wrap her mind around the concept of good voodoo. 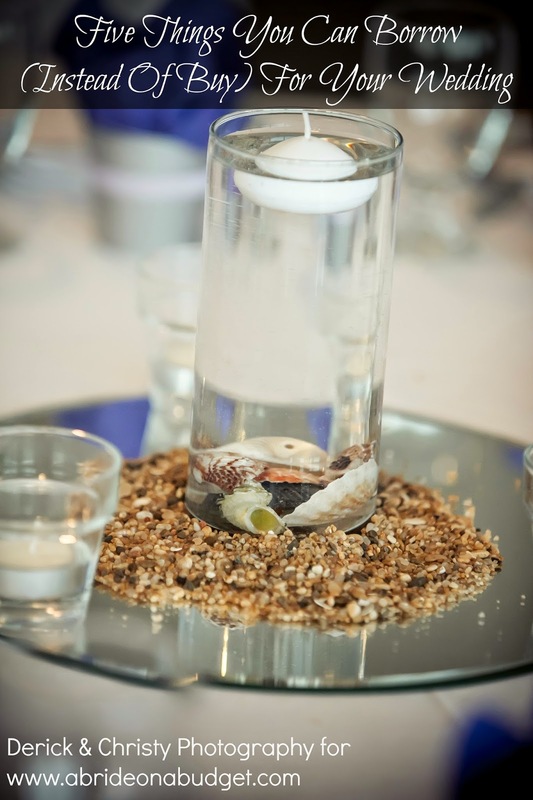 But if you have a friend who is more open-minded and enjoys something unique, this is for them. 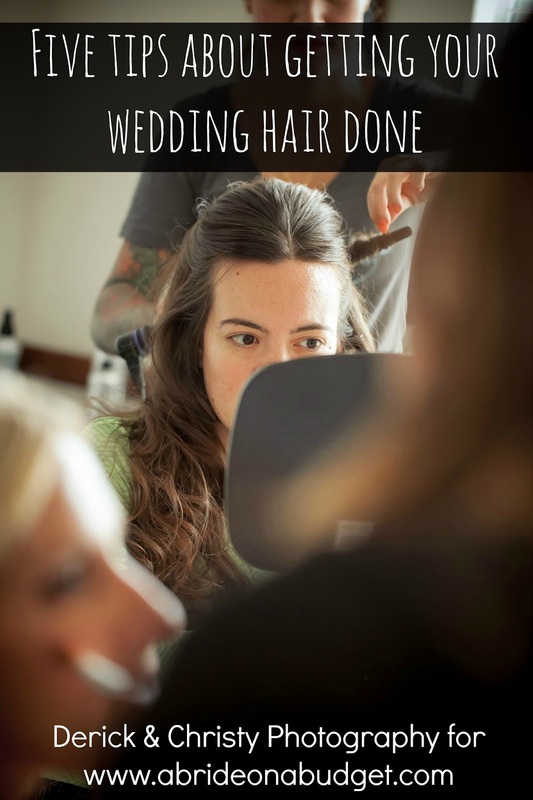 BRIDAL BABBLE: Which is your favorite? I really think the Birthday one is cute! What a great gift idea! 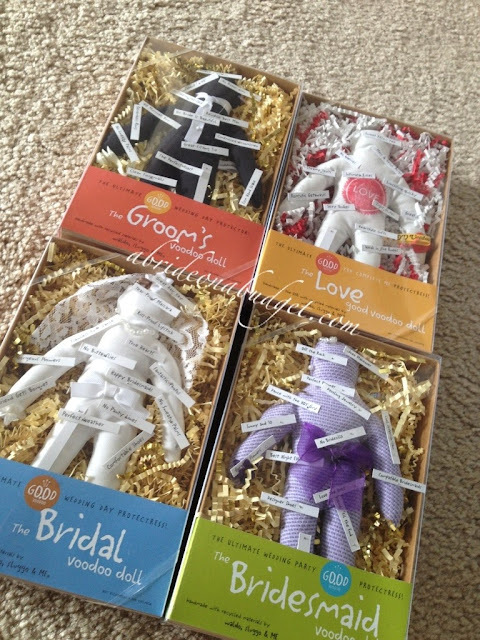 Love the Bridal Good Voodoo Doll. The Birthday Good one - perfect! The new baby one is cute. I like the Birthday one!! So cute! The Bridal Good Voodoo Doll is my favorite. that menopause GOOD voodoo doll is amazing! 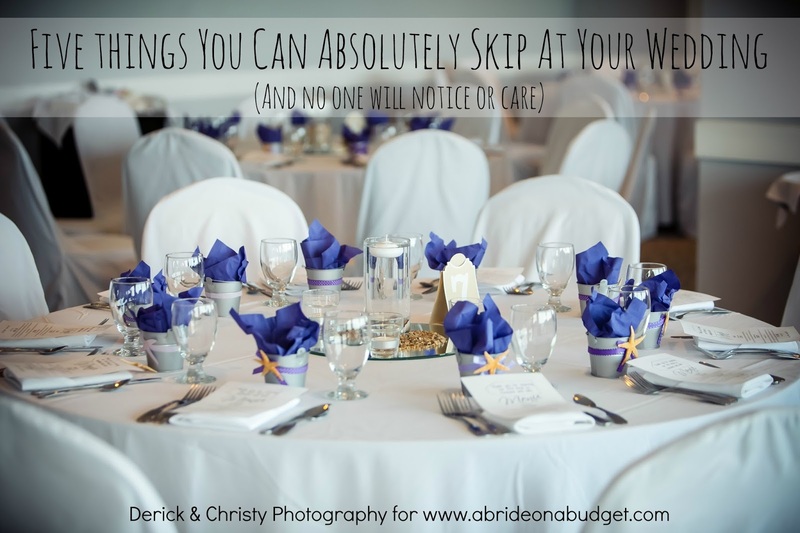 It's a toss up, Bride or Groom! I like the The Maternity Good Voodoo Doll. 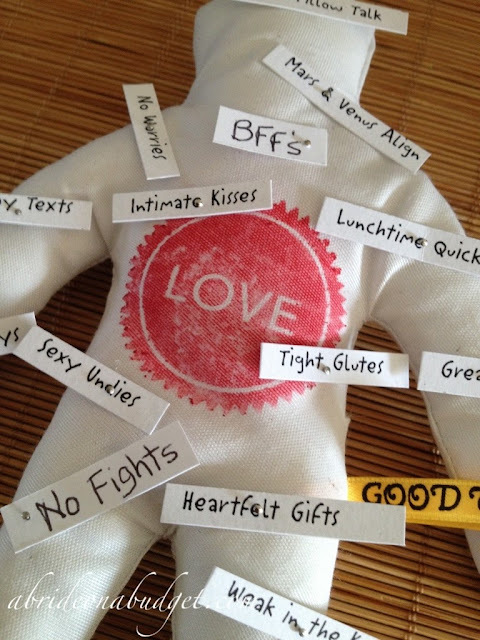 I like the Love Voodoo Doll. I like The Love Good Voodoo Doll! 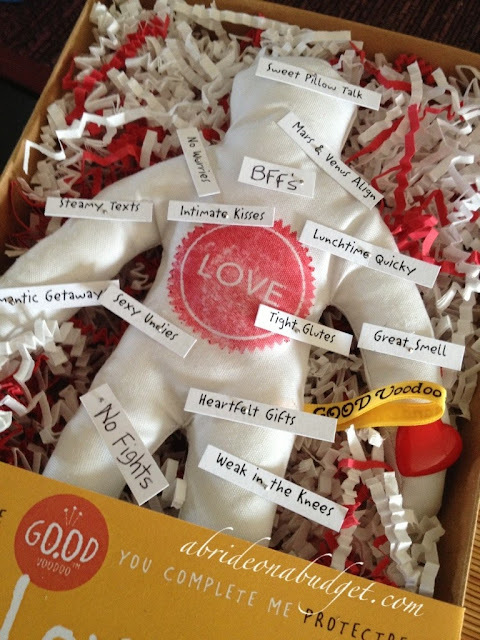 The Get Well Good Voodoo Doll is my favorite, because it makes for an awesome type of Cheer Up gift...and who doesn't want to put a smile on a friend or family member who's hurting? Liked them all but the menopause is my favorite. 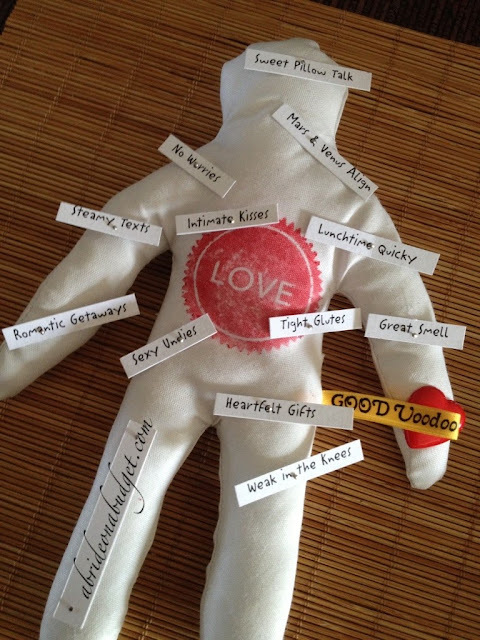 I adore the "love good voodoo doll". Maternity Good Voodoo Doll..would be good for me since im expecting!